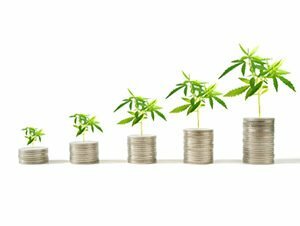 New Frontier Data’s research says legal cannabis industry sales will reach $14.3 billion in 2019 alone. That’s impressive as it is, but Grand View Research projects legal sales will surge to $146.4 billion by 2025, a nearly 1,000% industry growth trajectory. That might even be too conservative. Money Morning Director of Cannabis Investing Research Greg Miller says the U.S. cannabis industry could be worth over $1 trillion. This is simply a once-in-a-lifetime chance to get in early on an explosive new industry. But the promise of explosive growth is also leading to a veritable flood of weed stocks coming to market. Sorting out the winners from the wannabes is the difference between life-changing profits and your portfolio sinking into the red. And it’s easier said than done. After all, these are often brand-new companies or businesses you’ve never heard of. They may even be offering a product or service you know nothing about. In fact, successful cannabis investors don’t need to enjoy the product to make money off of it. Many of these stocks are too new to get analyst coverage, leaving most investors flying blind. The National Institute for Cannabis Investors – NICI for short – has developed the most comprehensive database of pot stocks on the planet. This isn’t just a list of publicly traded pot stocks. You can find that just about anywhere on the Internet. The NICIlytics tool includes every publicly traded cannabis company, a number of companies planning to go public soon, and promising startups, and it categorizes them by market sector. You can easily scroll through medical firms or tech stocks in the cannabis space. But what makes NICIlytics revolutionary is its rating system. Every stock is rated on a scale of 1 to 5, where pot stocks rated 5 are “strong buys.” If a company is rated a 5, it has serious upside potential. Just look at what happened to Green Growth Brands Inc. (OTCMKTS: GGBXF). You could have jumped in on the stock when it was selling for $2.70 a share thanks to its stellar NICIlytics rating. And it surged 129.63% in a mere 40 days. Having access to this vault can help you find more winners and give you the potential to make more money, faster. We’re talking about the potential to double, triple, or even quadruple your profit potential. And you simply won’t find a database with this level of detail – and profit potential – anywhere else.